Semifreddo and Spumone: the "light" gelatos. Do you love gelato but feel like trying something different? Semifreddo and spumone are two frozen desserts that are in a category of “gelato” but are different from the traditional gelato most people are familiar with; they have a distinct consistency, and even a different temperature than gelato. When we say “light gelato,” we mean a category of frozen creams that have a more foamy consistency than what gelato typically has. In this post, we’re going to take a look at what semifreddo and spumone are and how they’re used. We are excited to serve both semifreddo and spumone at Botolino, so make sure you come by to try them and taste the difference for yourself! 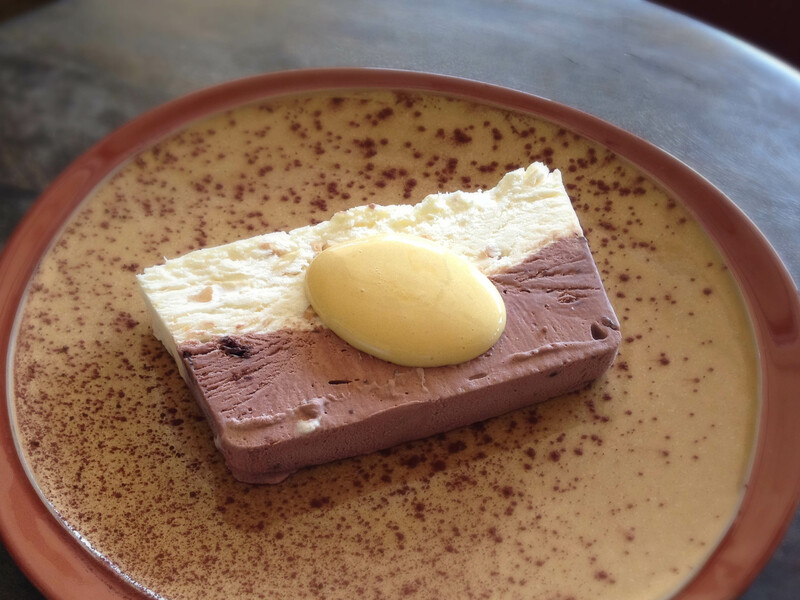 You may have noticed the appearance of semifreddo in higher-end restaurants in the last few years as it’s been gaining much-deserved popularity in the United States. 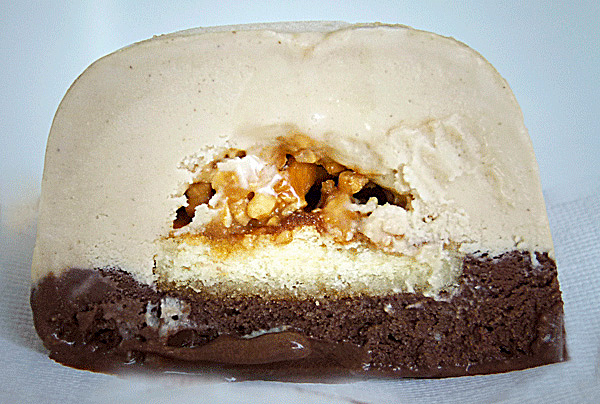 Semifreddo is not churned in a batch freezer, but instead is simply frozen in a mold. Semifreddo means “semi-cold,” and it earned its name because, thanks to its formulation, it feels less cold than it actually is. It is sometimes referred to as “winter’s gelato” because it is appealing during colder whether due to the fact that it’s richer and less chilling than typical gelato. Its origins can be easily traced to the Italian Renaissance, with Bernardo Buontalenti as its creator, so it is also considered the precursor of modern gelato. It is compose by three main parts: Pastry cream (milk, egg yolk, and sugar) Whipped Cream Italian Meringue (egg whites cooked with hot sugar syrup) A fourth component to provide flavor, like coffee, chocolate, or strawberries. Italian Meringue gives the dessert its delightful softness and keeps the mixture from freezing solid. Not only is semifreddo desirable because of its more chewable texture than gelato, but it can also be made by anyone without the need for expensive machinery. While some restaurants happily serve what they claim to be is spumone for decades, I’ve never tried one in American that actually resembles the real thing. Spumone means “foamy” in Italian, and its name refers to its spongier, airier texture. It is a delicate dessert commonly made in Salento (which is the heel of the Italian boot), and was created relatively recently in the 19th century. Probably partially because of its recent origin, no one seems to agree on what a proper spumone should be. As a result, there are many different variations of it. It is typically made in semi-spherical molds and contains two or three flavors like nuts, chocolate and/or sponge cake soaked in liquor. The version I like best is made with a core of semifreddo and an outer shell of gelato folded with whipped cream. The outer shell is delicate yet rich, and the center offers a different texture and mouthfeel, as well as a different flavor.